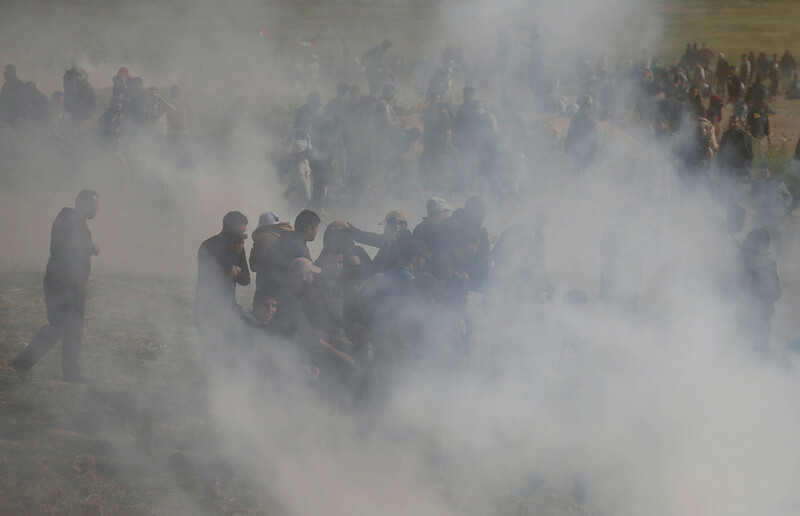 The deaths during the 'Great Return' protest are the fault of Hamas, says the Israeli Prime Minister's media spokesman. According to him, Israel was only defending from an "onslaught" of Palestinians trying to cross the border. Speaking to RT, David Keyes, Benjamin Netanyahu's foreign media spokesperson, said the 'Great Return' protests staged by Palestinians along the security border fence separating the enclave from the Israeli-held territory are the "opposite of peaceful protests." "The aim of this event is to swarm into Israel and overwhelm it, and it's a part of a long track record by Hamas of waging war against Israel, launching tens of thousands of missiles, conducting suicide bombings against cafes, against civilians and in buses," Keys charged. He went on to argue that Israel essentially bears no responsibility for the deaths of 17 people and the injuries of hundreds more during the Friday clashes, as it only fought back against Hamas, which has been de facto in control of the Gaza Strip. 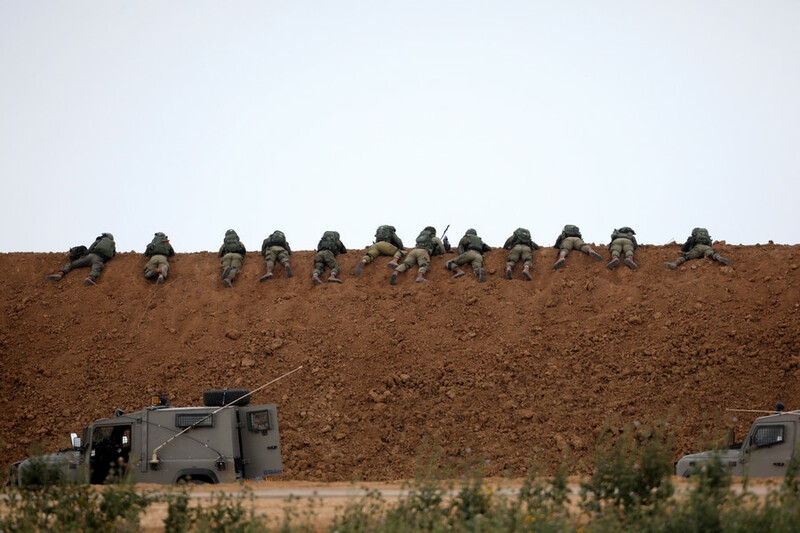 Hamas is, consequently, the one with the ability to rein in the violence, by demanding that its supporters stay clear of the border fence, Keys argued. "The real tragedy is that it can stop now. There doesn't need to be any bloodshed, there doesn't need to be any killings, there doesn't need to be any injured. All Hamas has to do is to say: 'Stay away from the security fence, don't try to infiltrate Israel' – and all of it can stop immediately." Keys called on the international community to get behind Israel and pressure Hamas to stop what Tel Aviv considers a campaign of incitement. "The whole world should be asking Hamas: 'Why aren't you telling your people to stop this outrage, why do you continue to wage war against Israel?' 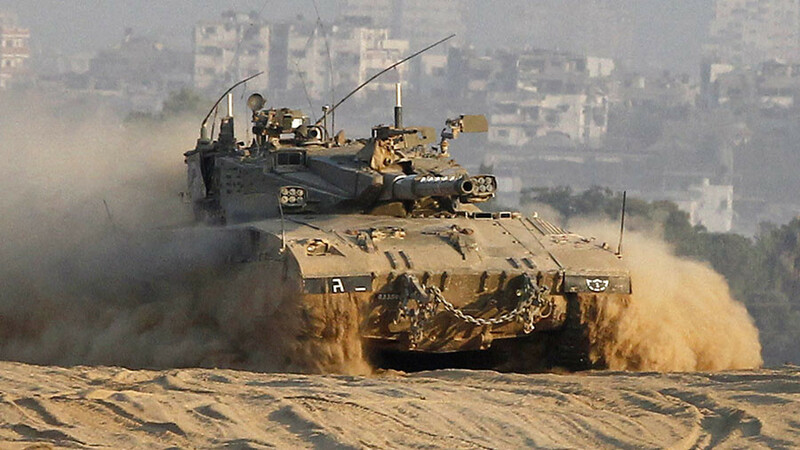 Because the second Hamas says that, all of this can stop," he said. 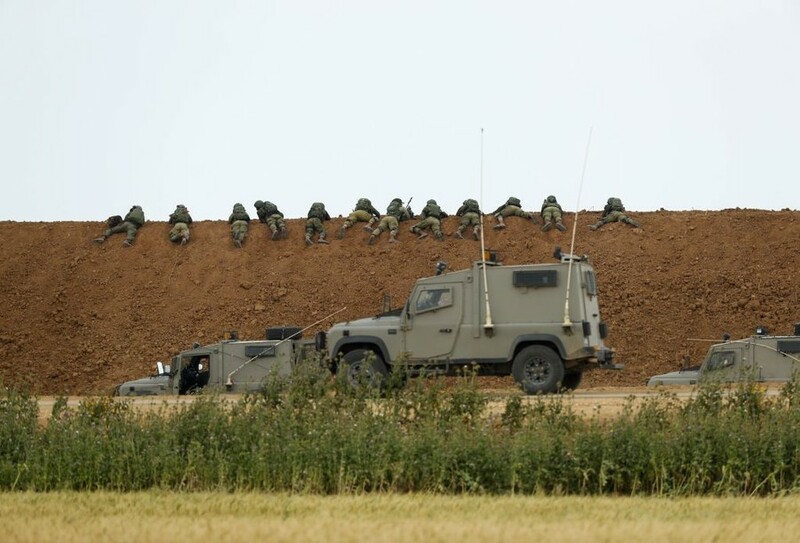 Ahead of Land Day, which marks a start of the planned six weeks of Palestinian protests, the Israeli Defense Forces dropped leaflets on Gaza villages, cautioning them against coming closer than 300 meters (985 feet) from the security installations. "Whoever comes near will put himself at risk," the leaflets read. 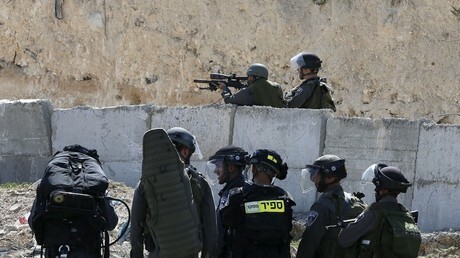 Reiterating the official Israeli justification for what several Muslim countries have condemned as the use of disproportionate force against protesters, Keys claimed that protesters planted bombs "right in front of the fence," adding they were "shooting rockets and guns at Israelis." "If this was a peaceful protest, there would be no problem whatsoever. 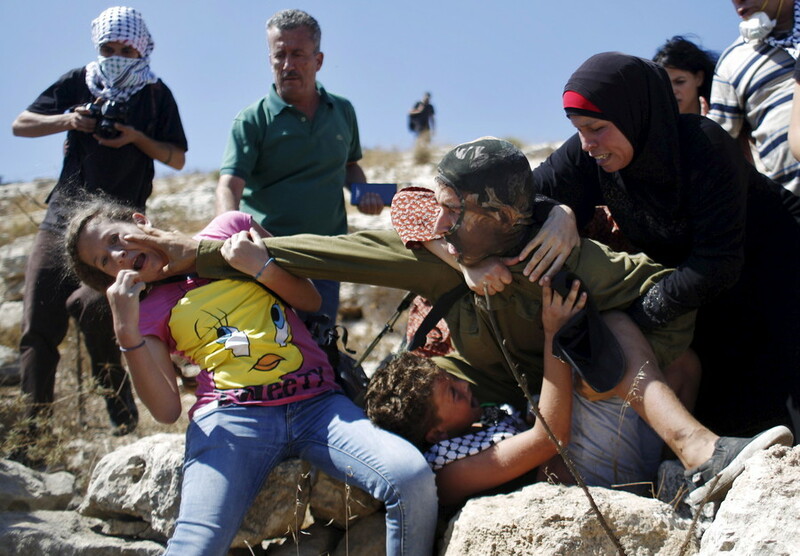 But attempts to swarm into Israel and overrun it with thousands of people are not great," he added. When asked by RT to provide a specific example of the abovementioned offenses, since footage from the clashes seems to mostly show people throwing stones rather than rockets, Key referred to the IDF web page. "There have been many attacks, the exact numbers are still being investigated," he said, adding that those interested should go and watch for themselves. Keys refused the idea that the spike in tensions might have been provoked by US President Donald Trump' controversial decision to recognize Jerusalem as the Israeli capital on December 6. 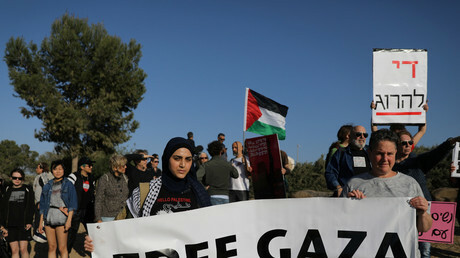 The move sparked a wave of protests in Palestine that were echoed across the Arab and Muslim world, which decried it as a blow to an already stalled peace process. 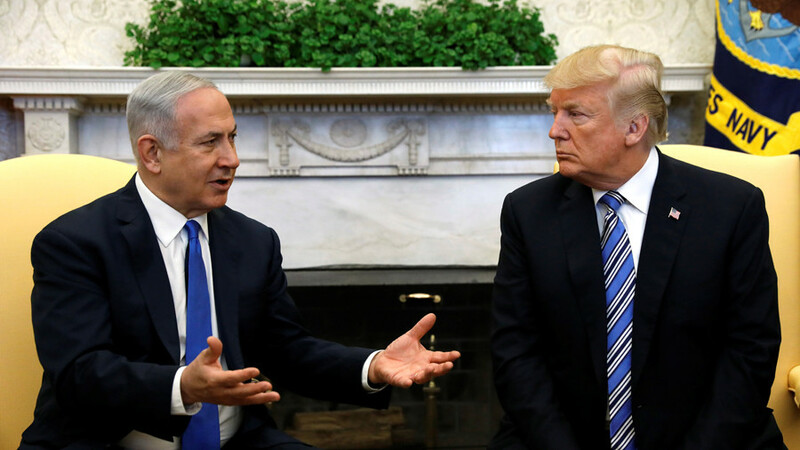 "I think what has been causing the tension has been the denial of the fact that Jerusalem is Israel's capital, not the recognition of a historical fact that stretches back 3,000 years," Keys argued, saying Trump's decision "is a wonderful move for peace, this is a wonderful move for justice, it's a wonderful move for history." RT has also spoken with the deputy chairman of the Hamas Political Bureau Mousa Abu Marzook. You can read about his take on the events here.